Cloris Leachman Comes to Altadena Library! Actress, comedienne and 2009 Rose Parade Grand Marshal Cloris Leachman will make a special appearance at 7 PM. on Wed., April 29, at the main Altadena Library located at 600 East Mariposa Street. From “Dancing with the Stars” to “The Mary Tyler Moore Show,” the Academy Award-winning actress will share how she prepares (or doesn’t) for a role, her approach to the business of show business and about her days at the Actors Studio. 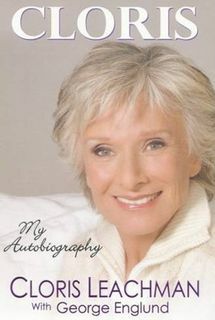 Her autobiography, Cloris, will also be available for sale and signing. There are no tickets required but seating will be on a first-come, first-served basis. For more information, please check the library’s website at www.altadenalibrary.org or call 626-798-0833 and ask for the Reference Desk.